Are you looking for plumbing & heating services in Swindon? GJV Plumbing and Heating is a friendly and professional Plumber in Swindon, covering many surrounding areas such as Cricklade, Lambourn, Marlborough, Shrivenham, Devizes, Purton and Wootten Bassett. We cover all aspects of plumbing and heating & install everything from taps, kitchen sinks to pipe-work, bathrooms, baths, showers, toilets, drainage, power flushing, utilities to full central heating systems & gas boilers for your home. As we are Gas Safe registered (No.132329) you have the guarantee that you will receive a high standard of work and a reliable service. If you are looking for a reliable and experienced plumber? From installing a bathroom suite to mending a leaky tap GJV Plumbing and Heating are here to carry out the work in you home with as little disruption as possible. 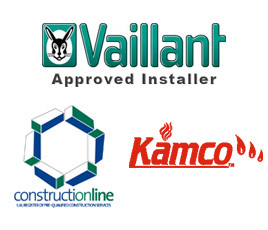 GJV plumbing and heating specialise in boiler and central heating installations. Our installers are gas safe registered and LPG gas registered.